Like many activities, swimming can be difficult to master. We at Little Fishes Swim School believe in encouraging kiddos every step of the way and showing them the many ways that they are succeeding! Learning to swim is so much more than moving up to new levels. Here are some other times to praise your little fish throughout their swimming journey. 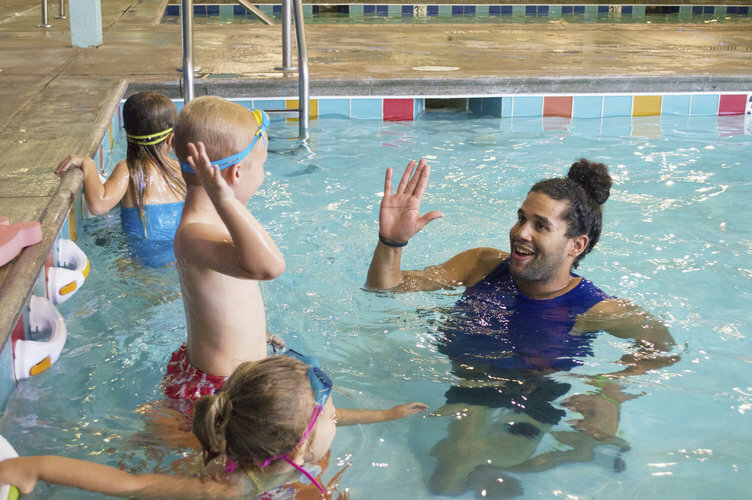 Overcoming a challenge: Recognizing when your child has conquered a difficult task like learning to float shows them that they have continual support from their biggest “fin” and that they can overcome future challenges. Having a positive attitude: Having a positive attitude is great skill to have throughout all walks of life. Encouraging your little one to smile, have positive thoughts, and help their fellow fish are great ways to cultivate that mindset. Being kind to a friend or others: Appreciating when your child picks up a friend’s towel or opens a door encourages them to always help others. Sticking with it: Progress comes in many forms. Whether it’s moving up a level or working on their “monkey walk”, praising your child when they continue to swim upstream shows them the power of perseverance. Encouragement is essential to building a confident and positive swimmer. At Little Fishes, we’re here to support your little fish in every way. Get in touch or come visit one of our locations today!